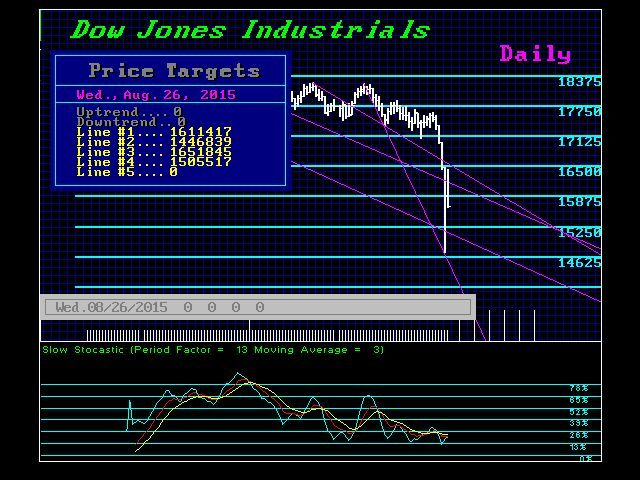 The cycles and oscillators still suggest a three-day bounce into Thursday. We would need a daily closing back above 16461 to suggest that the low will hold at least temporarily. Then we should retest the support. This is where it will become critical going into Monday that we hold this week’s low. If we break and close August at least BELOW 15961, then this will open the door to a five-month correction into October with a maximum decline of about 5000 points from the May high, taking us down into the 12000 zone. Key support will also lie at the 13900 area. The most alarming event on our model is the string of Directional Changes. This warns that we are not looking at a nice V bottom here. This is why we must define where a FALSE MOVE and a CORRECTION are distinguished. The former is a maximum of three units in time, so that means August. Yes, this can be fudged slightly insofar as you can make a new low in September (not so steep) and rush back to close higher for month-end. This would become possible perhaps with at least a monthly closing below 15961. An August closing BELOW 15550 would point to a correction into October. This string of Directional Changes warns of a choppy period ahead, which should chisel confidence down to a mere pebble in any lasting bull market. The interesting aspect is that we did not have a Panic Cycle the week of October 19th until this move. So obviously, the pattern suggested that there is more volatility ahead. This is HOW we listen to the market. It is NEVER wrong, only people are wrong because we all have opinions that are subjective and reshaped by emotion. That is the danger here. In conclusion, watch the Dow, for the Dow led on the way up and had led on the way down. This is the BIG MONEY, not retail investors. So we should expect this to turn and provide a clear reference before the NASDAQ or even S&P 500. 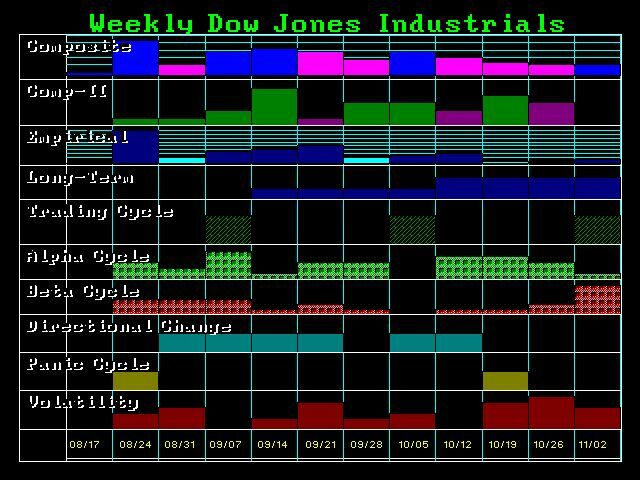 August holds and we have a classic FALSE MOVE; August gives way in the Dow (not S&P500 or NASDAQ), and we will most likely fall into October turning sentiment very bearish. Then the up move thereafter should be at least a doubling from that low. Ironically, a test of the mid-12000 range would project to the next resistance in the 23000 level as we have warned. If the government figures out that this is a Sovereign Debt Crisis and actually coordinates an effort to deal with it, ending the hunt for taxes, then the final high could extend into 2023. That is a VERY BIG “IF”.